Visual Studio Code>Themes>Forge ThemeNew to Visual Studio Code? Get it now. 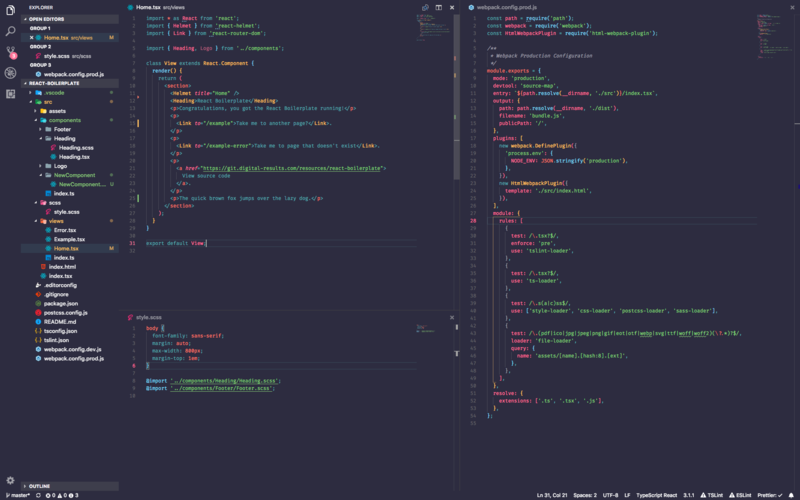 A dark theme for Visual Studio Code using Forge's unique and stylish branding. Theme developed by Forge, a digital marketing and development agency based in Central London. Working with amazing companies around the world, we craft digital experiences that are designed to help businesses grow. Our expert team of software developers, designers, marketers and strategists work together to build bespoke digital solutions for our vast range of clients. Got an idea? Need some help? Send us a message and kick off a conversation.